Secure Cloud is a virtual data center where you can customize your own IT environment according to your needs. Build and manage your own cloud without having to worry about infrastructure. 24 Solutions handle infrastructure and hardware in secure data centers in Sweden, allowing you to focus on your core business, applications and OS. Secure Cloud is a cost-effective solution since you decide when and how much you need to scale up or down – to allow the capacity you need. You pay according to your needs. 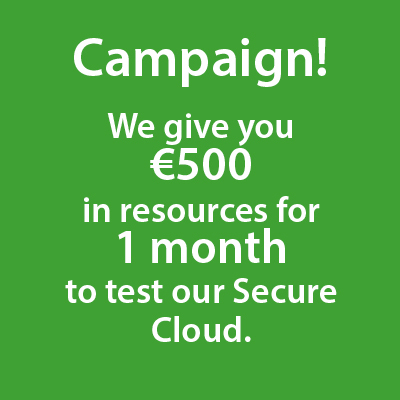 Secure Cloud grows as you go! Whether you are a startup or established corporation, Secure Cloud can support your needs. Secure Cloud can also be combined with traditional hosting services, meaning increased flexibility. And with skilled technicians, you can also be sure that you always get the help that you need. Do you want to know more about Secure Cloud?